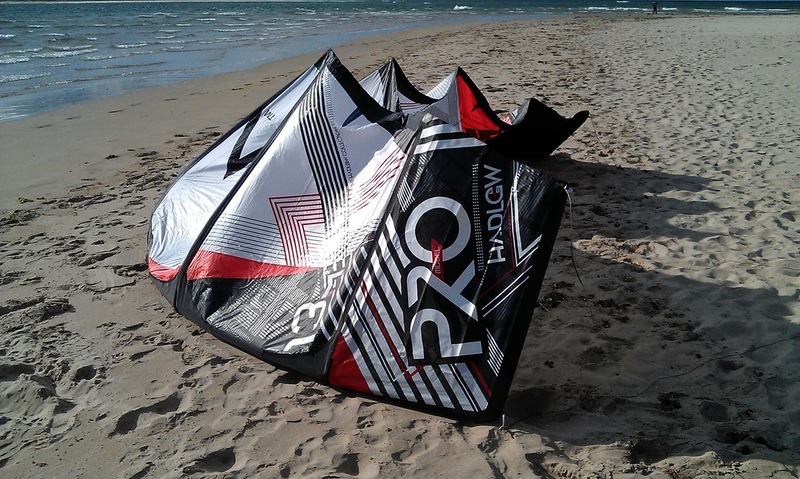 The Hadlow Pro V4 retains the qualities of its predecessors as Aaron's signature kite - a high aspect ratio C kite with 6 struts and a large central section for maximum power generation. It retains its narrow diameter leading edge, the tried and tested Flexifoil one-pump system and sports a new asymmetrical graphic scheme. Further improvements have been made this year to the kites durability - the leading edge closure is double sewn, Aramid has been added to strategic positions on the struts, and the front line connection point has been moved onto the LE, rather than the canopy. Its a kite which has clearly been made to survive whatever you can throw at it, and should stand the test of time well. 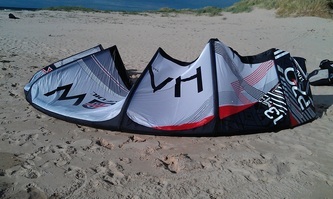 The Hadlow Pro now only supports the 6 line connection mode - the 2 centre lines split into two a few metres from the kite, and connect to the wingtip and on an additional connection on the LE. The bar has 4x 22m lines and two additional lines which are a metre or so longer which connect to the forward LE positions. The excellent lines themselves are unchanged - all rated to 325Kg and coated to increase durability and making them very easy to untangle. 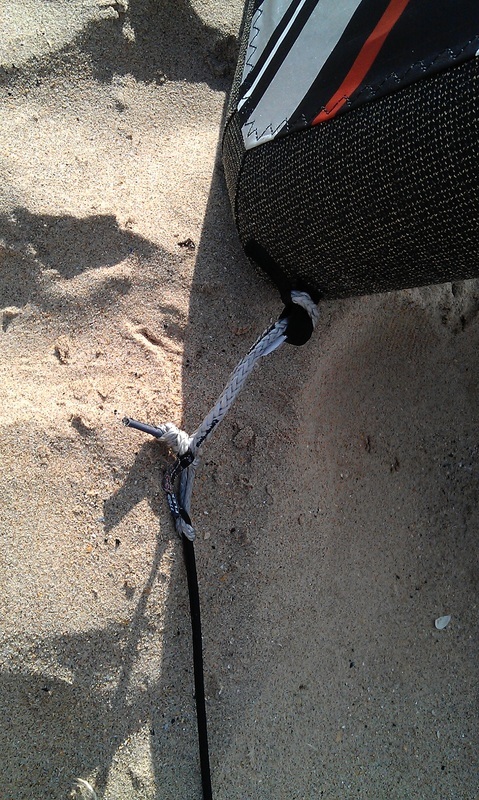 These lead to a standard Pull/Pull webbing de-power system and long-lasting plastic coated de-power line. There is also a safety line going from the front line split to beneath the bar to allow de-power on demand, or the OSR handles at the end of the bar can be used to flag it out fully. The bar itself remains unchanged, 48cm long, narrow diameter with a heavily embossed foam grip, which is pretty firm when new but softens up after several sessions. Beneath the bar lies the big red Flexifoil push-away safety release, and a swivel which sits on top of the de-power loop, allowing you to untangle your lines with ease. That said, there is a new bar in production which has been seen in use by Aaron in competitions - hopefully it won't be long before I get hold of one for a review! The V4 Hadlow also comes in a nice new bag, with slick new graphics, internal stuff-sack and room on the sides for bar and pump. It takes a little more effort to pack the kite down to get it to fit, but overall usability of the bag is a great improvement. The V4 Hadlow features significant improvements in its flight stability in light winds, and seems to have more power in general. The bar feedback is top notch as usual and its turning response is excellent; parking in the sky ignoring small inputs, yet turning with conviction and power when the steering is prolonged and decisive. The bar pressure is medium, which helps keep your arms fresh for when you really need them. The interesting thing about the Hadlow is that it has no optional attachment points for tuning, which may for some be disappointing; but in actual fact, what Flexifoil have produced is a kite which is setup perfectly and remarkably consistent across all sizes. As is common with traditional C's the static pull is less than you'd expect from flatter kites, but this is countered by their ability to be worked to generate power - this leads to a respectable bottom end, with the general improvements in power over its predecessors. The low profile leading edge allows the kite to sit a little more forward in the window than its fatter counterparts, which leads to good upwind drive when powered and parked, but progress can be a little more difficult when the kite needs to be worked to generate power. 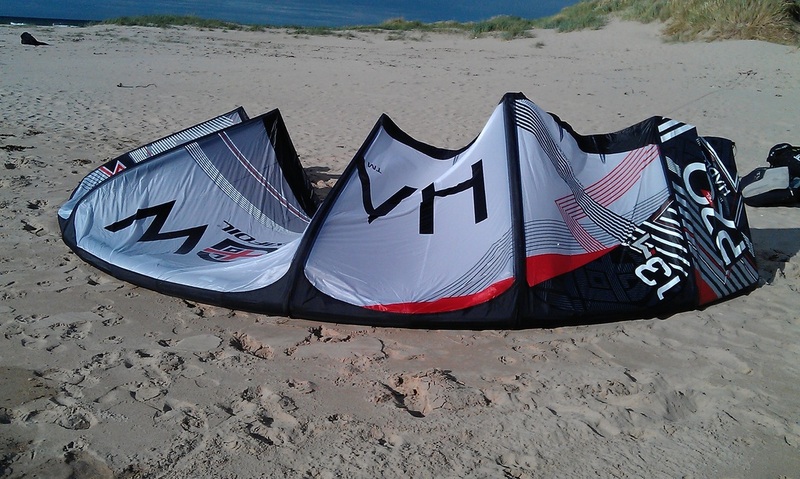 The top end of the kite range is also good, but requires the rider to edge hard against it in combination with use of the depower strap, and the low profile LE allows it to be pushed to the edge of the window without a massive lower body workout! Relaunch is similar to most C kites - a prolonged pull on one steering line will cause it to pivot and point out of the water, but does require a reasonable amount of wind to do this. In lighter winds the Hadlow generally needs to be put onto its back and it will relaunch with ease from there. The V4 is also very good to jump with, but requires a certain amount of skill and timing from the rider to get the very best out of it (kite-high jumps off flat water certainly aren't out of the question!). It rips you off the water with great power, and its power on demand can produce some silky smooth landings when redirected or heli-looped just before landing. 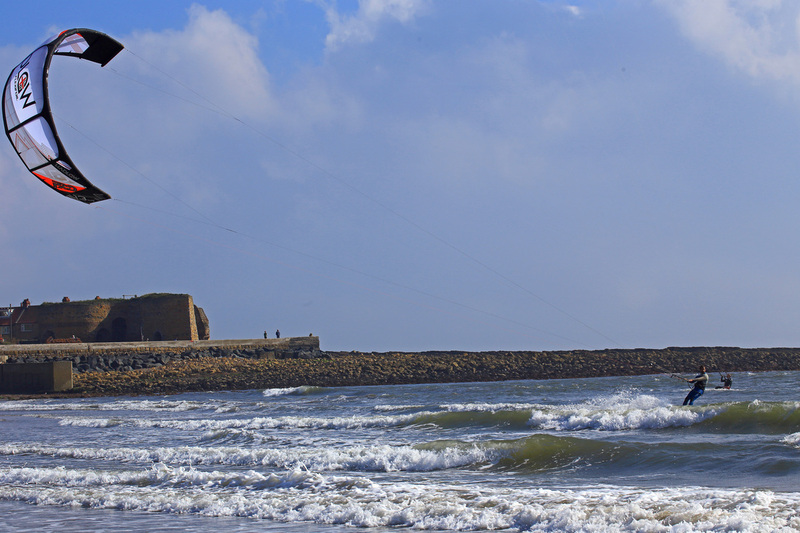 The improvements in power also benefit the kiteloops, which are joyously meaty - unhooked loops whip you off the water and into the air with ease, whilst hooked in loops generate a continuous hard downwind pull, and the fast forward drive of the kite gets it back up to the top of the window in good time for landing. For all forms of freestyle the Hadlow really shines - great power on demand by sending it through the window and unparalleled bar feedback which keeps you informed and in control at all times. It unhooks and parks in the sky effortlessly, sitting there until you steer the bar assertively. The Hadlow has the best explosive pop I've ever experienced, ripping you off the water and slacking impressively mid-flight to get those airpasses in. It also slacks further on landing to aid surface passes before the power fully kicks in again. The new Hadlow shows considerable improvements in stability and low end power this year which will please a lot of people, this is coupled with cutting edge performance for handle-passes, kiteloops, freestyle and aggressive freeriding. It's not a kite for beginners, but a great option for anyone wanting to get into some serious freestyle - starting on the road to unhooking or perfecting those airpasses. Ability to flag onto front lines, OSR rear line release.